A Bathurst 12 Hour winner, Blancpain GT Series Endurance Cup champion, and Virgin Australia Supercars Championship title winner—Kiwi Shane van Gisbergen is well versed in the world of motor racing. 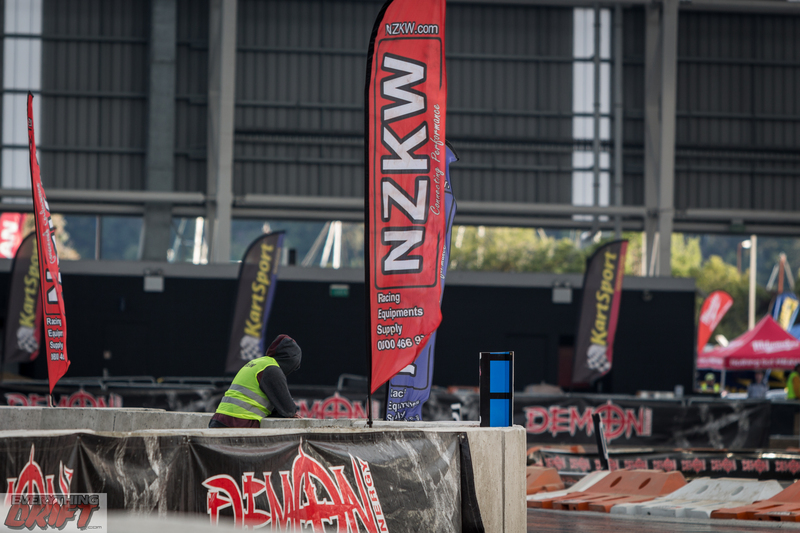 With a custom course yet again laid out through meticulous planning and a whole load of concrete, D1NZ turned up the heat with another banger of a round. 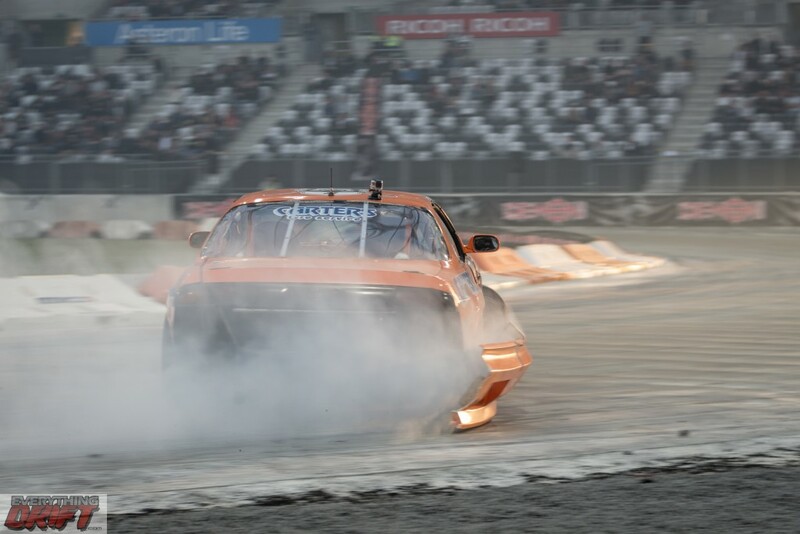 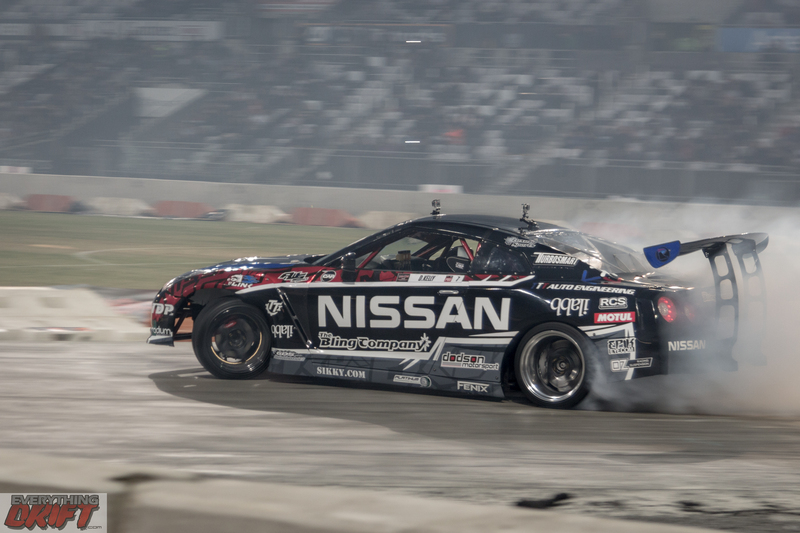 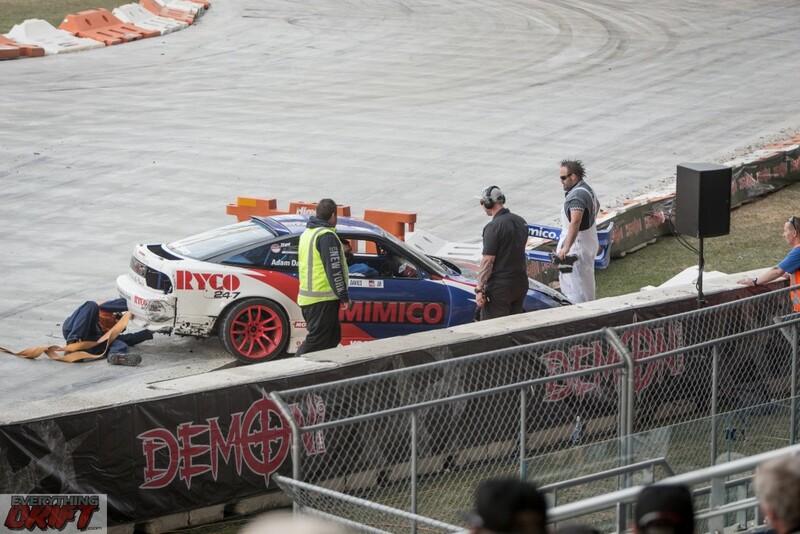 Fans were in for a treat with the latest round, featuring a American styled banked corner to really push the drivers and see how close they could get before disaster. 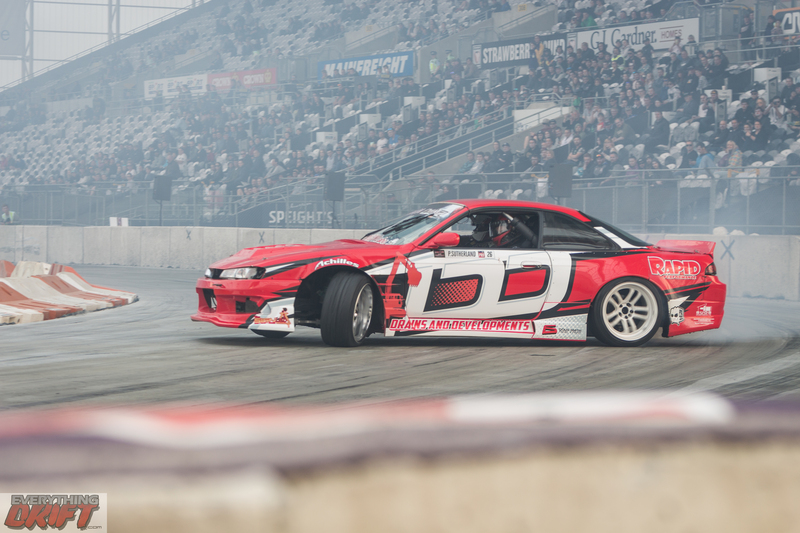 Early on in the day, many drivers were testing the limits with some trading paint and others fiberglass but coming away fairly cleanly. 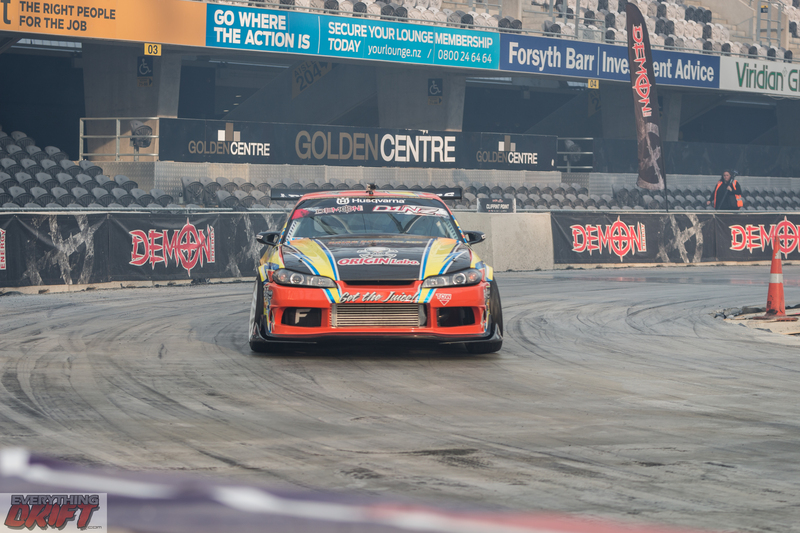 Tighter sectors towards the end of the course meant technical skills played a huge part rather than straight horsepower, and while many of the competitors handled the course well, some found the dirt a little too enticing. 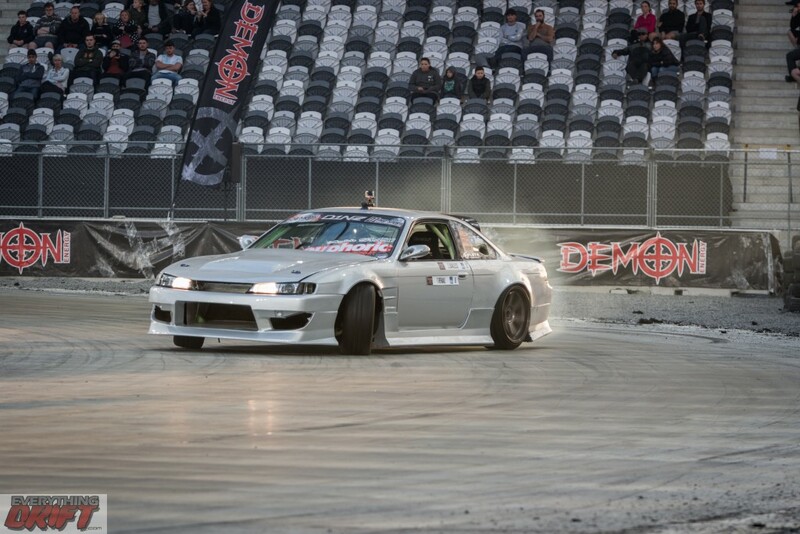 With the drifting season starting back up here in New Zealand, everyone was anxiously waiting to hear the announcement of the first round’s location. 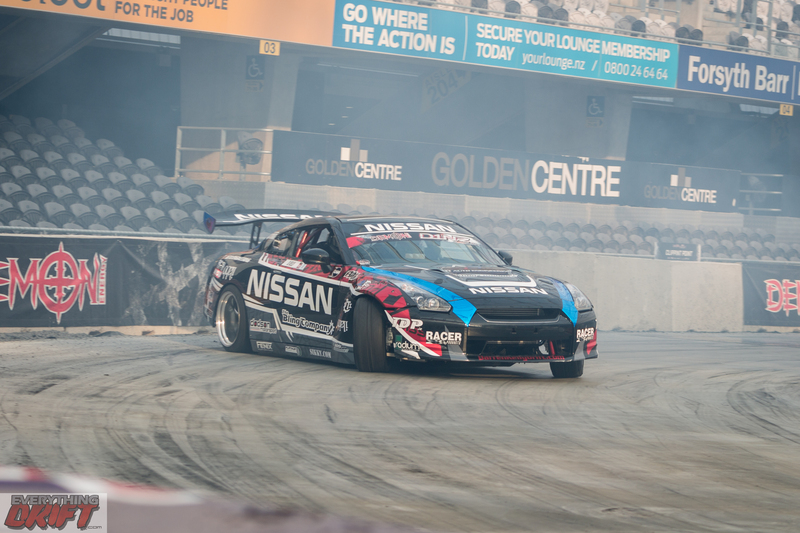 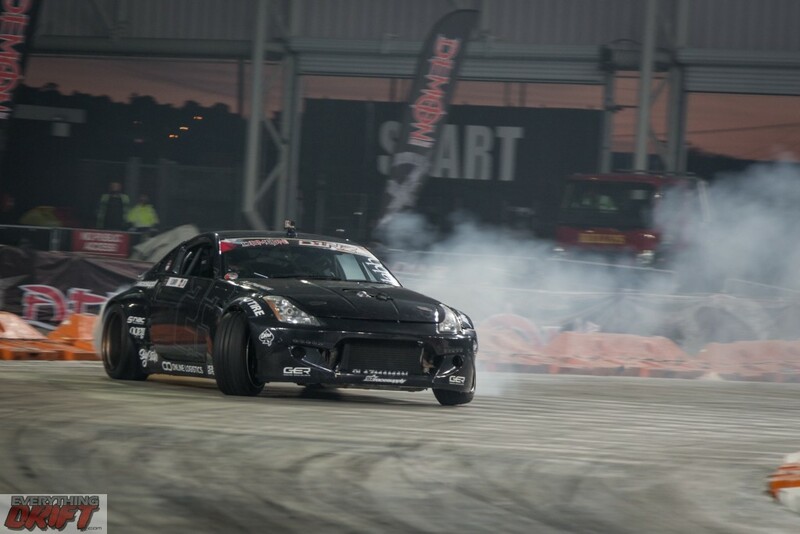 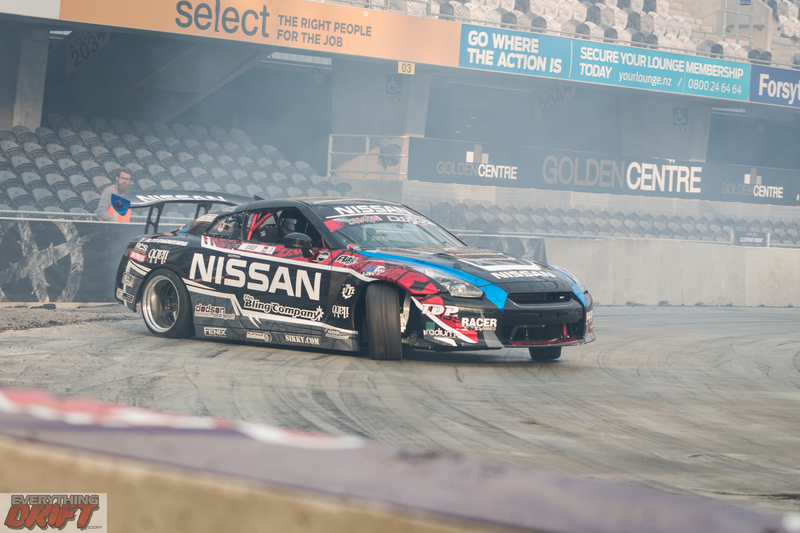 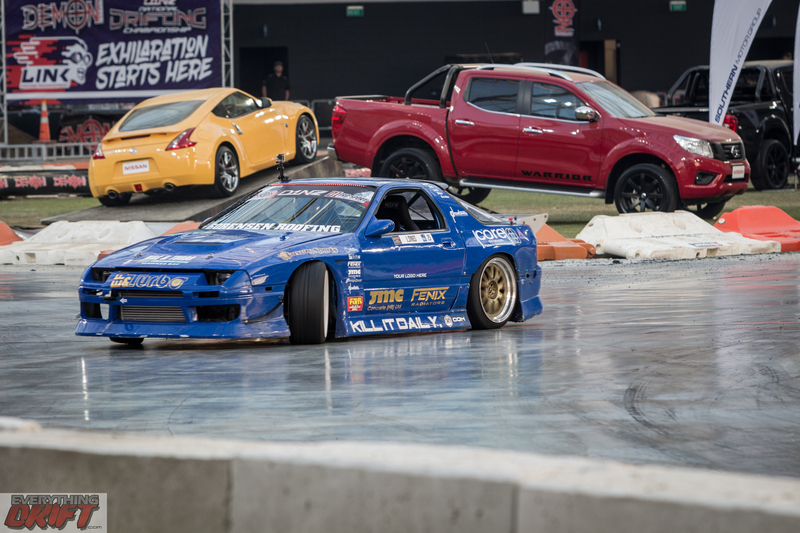 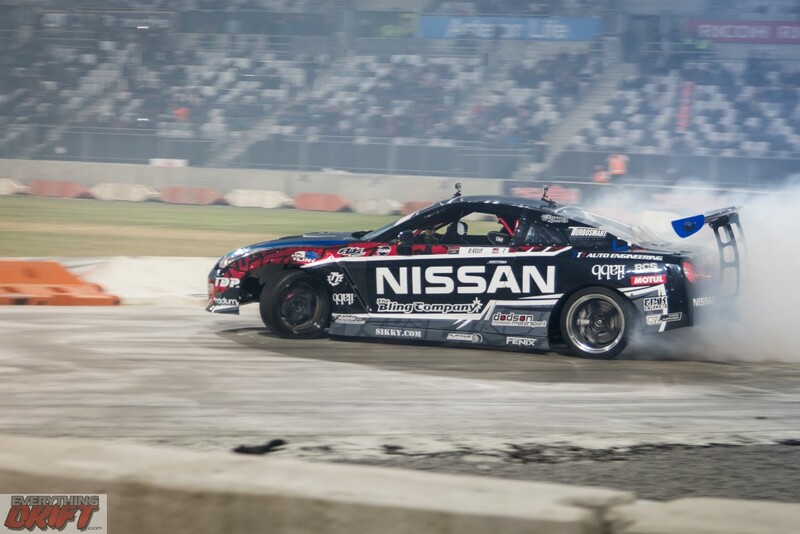 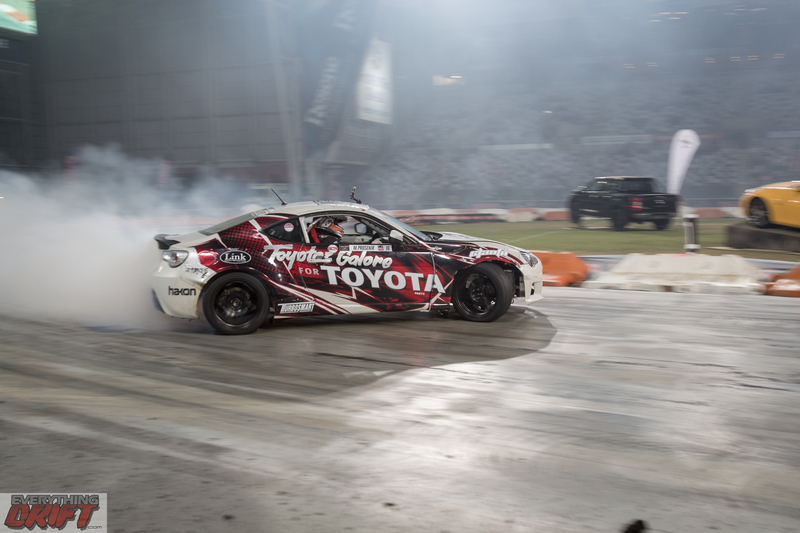 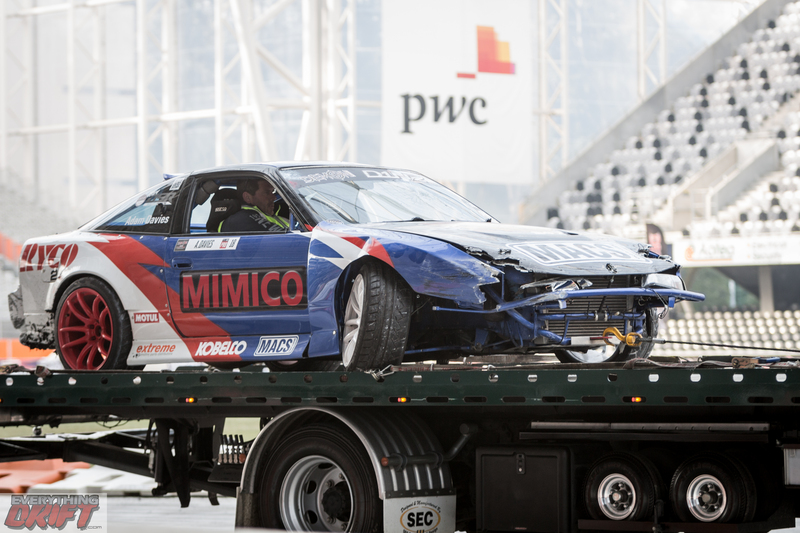 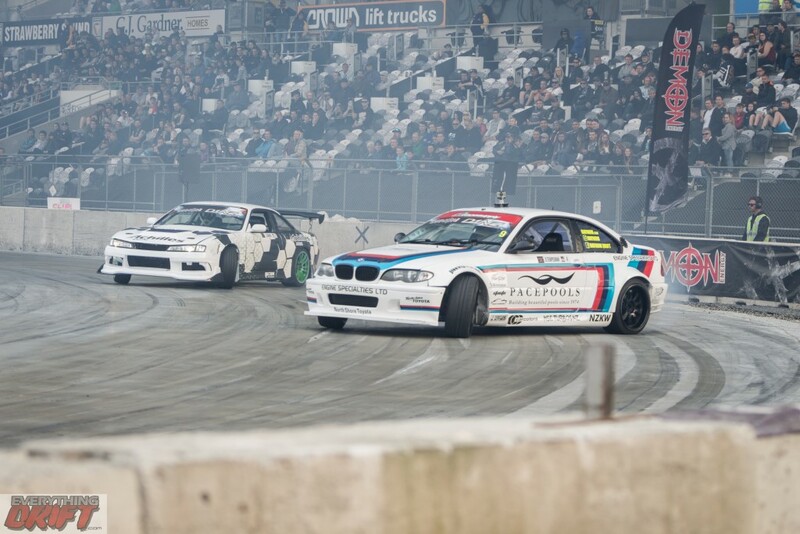 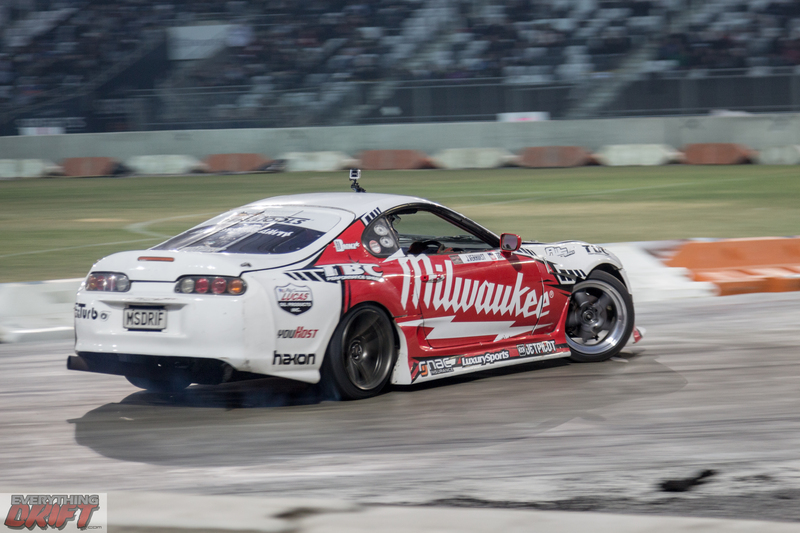 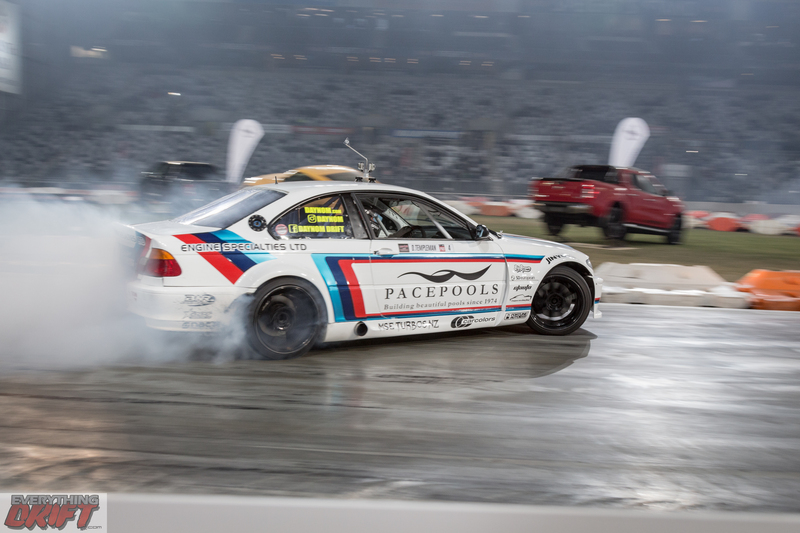 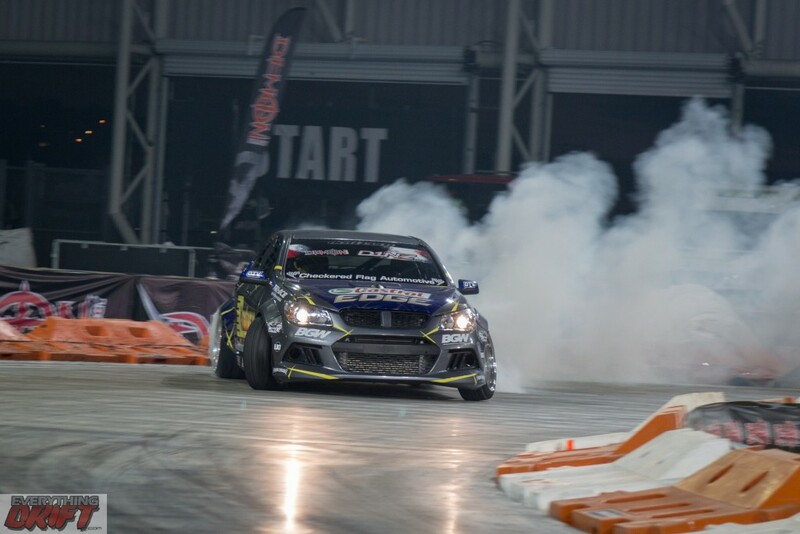 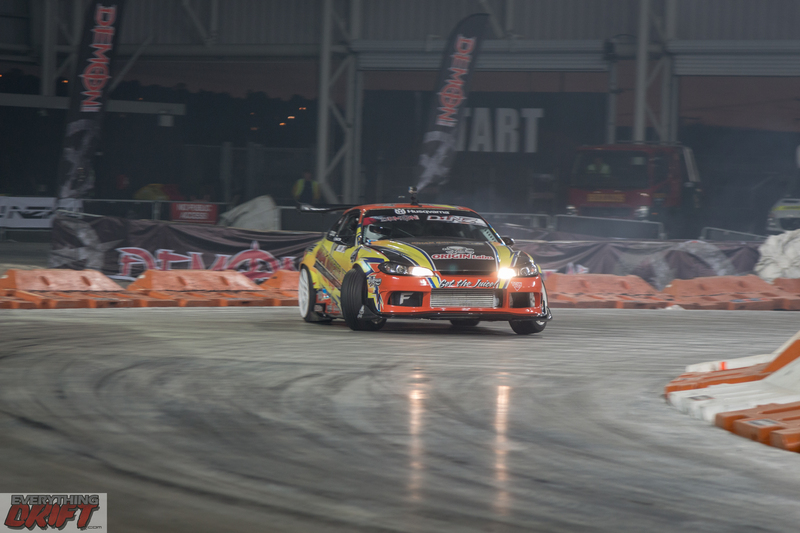 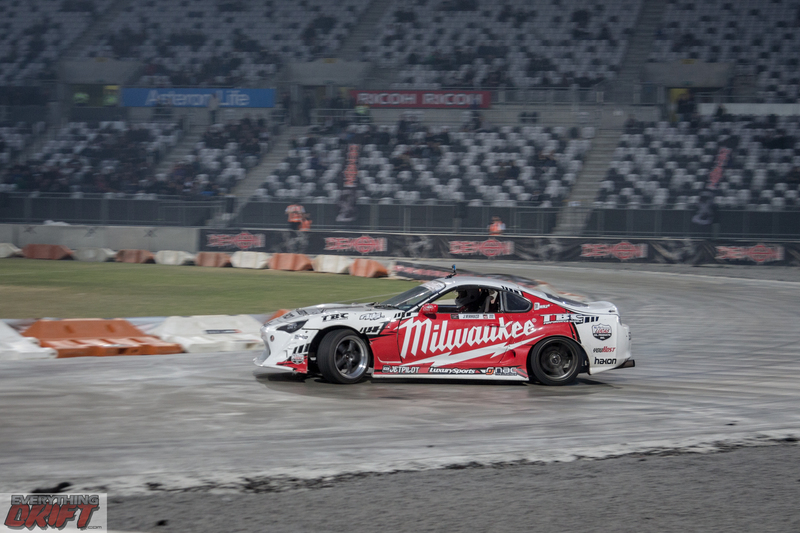 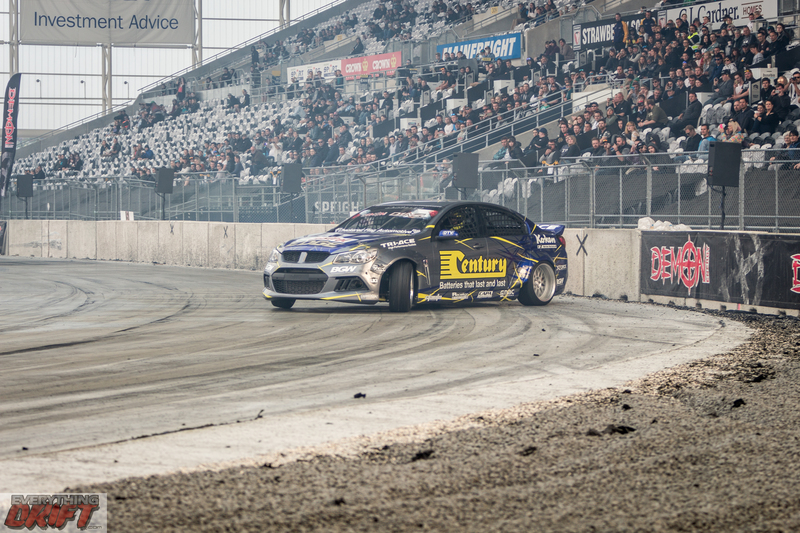 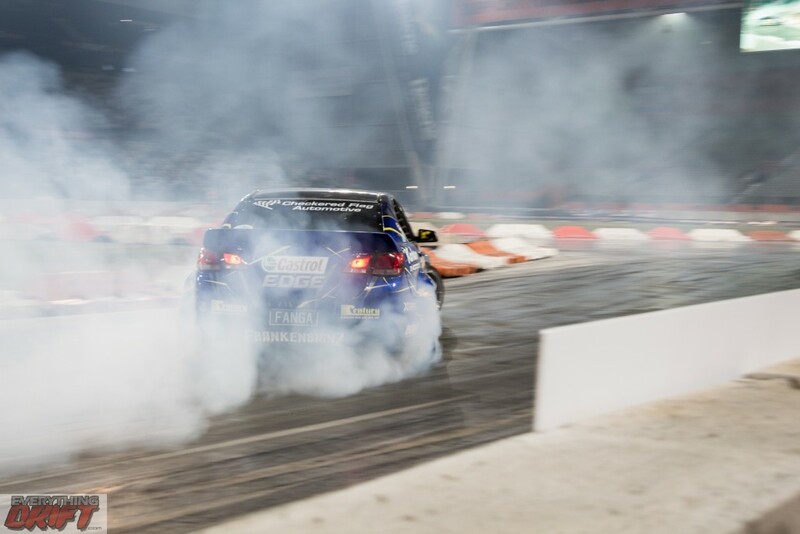 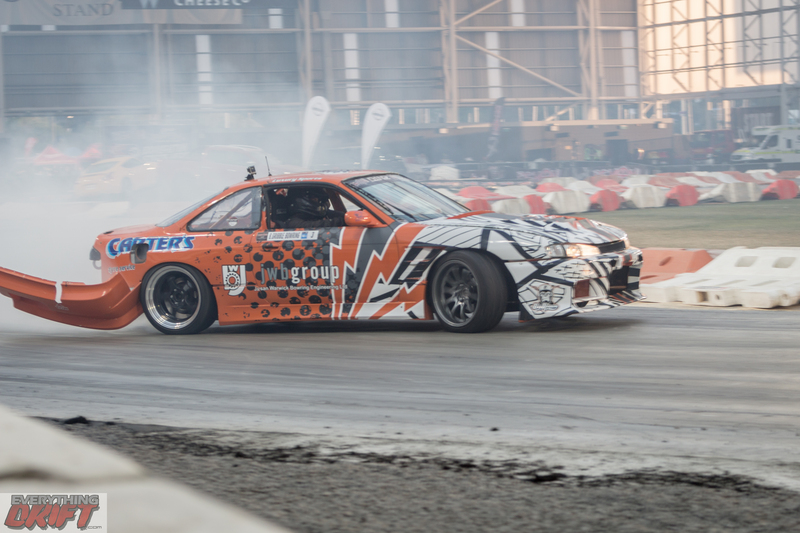 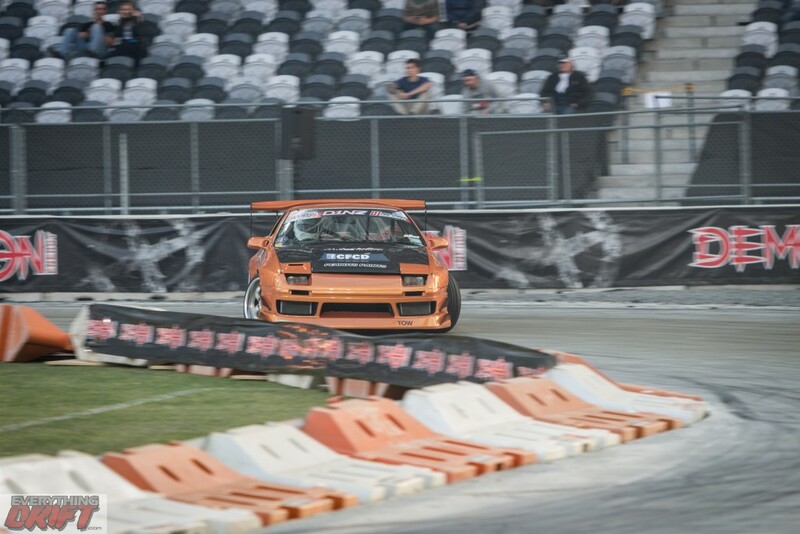 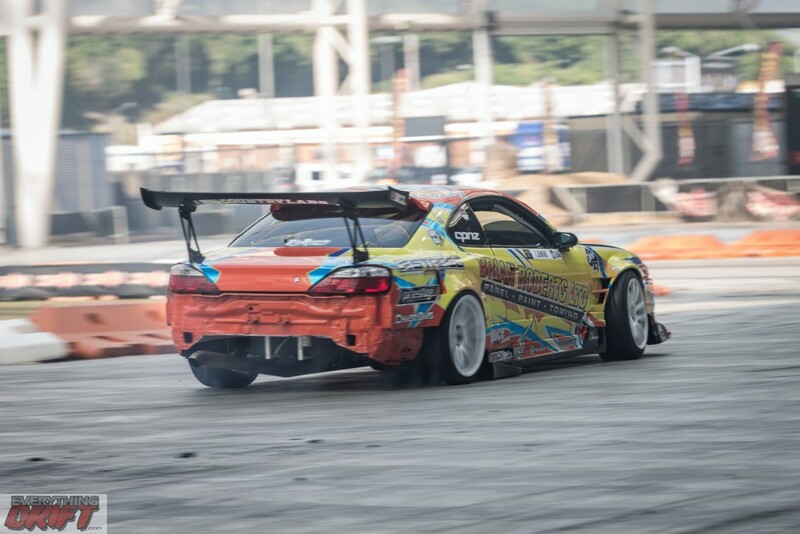 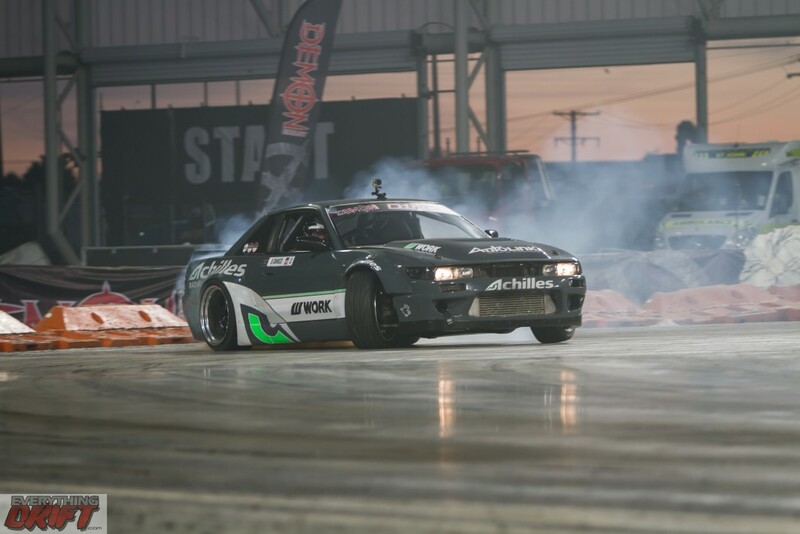 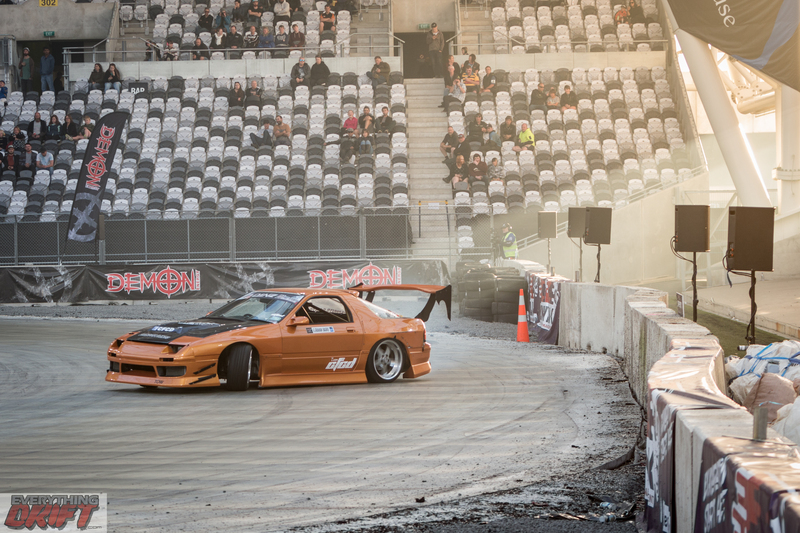 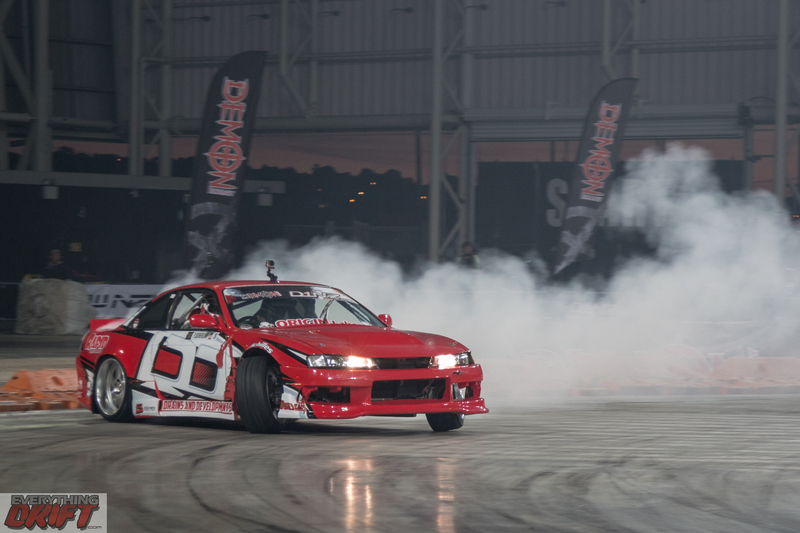 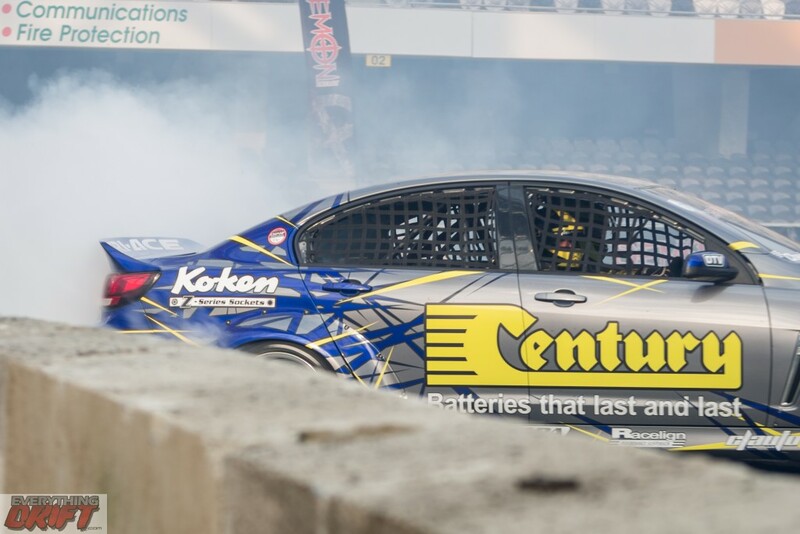 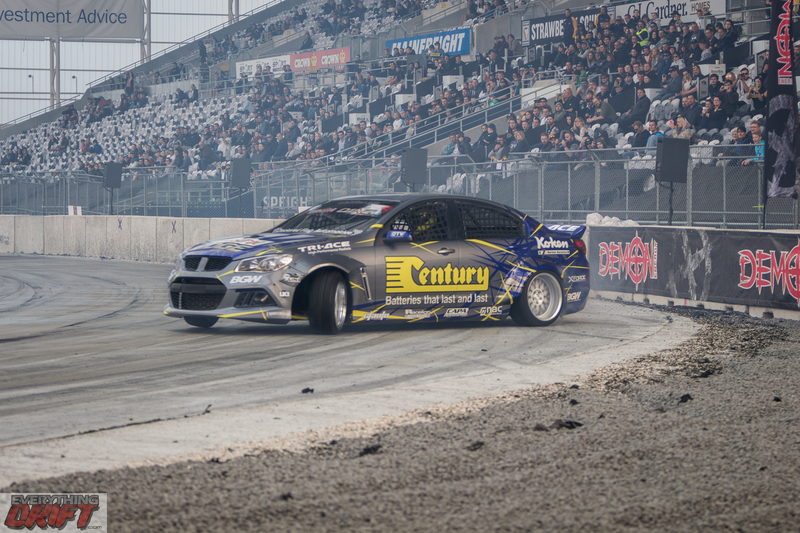 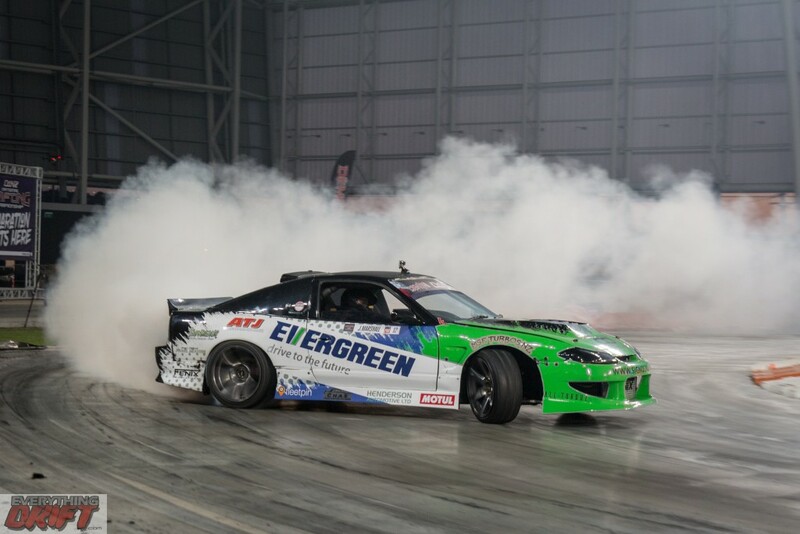 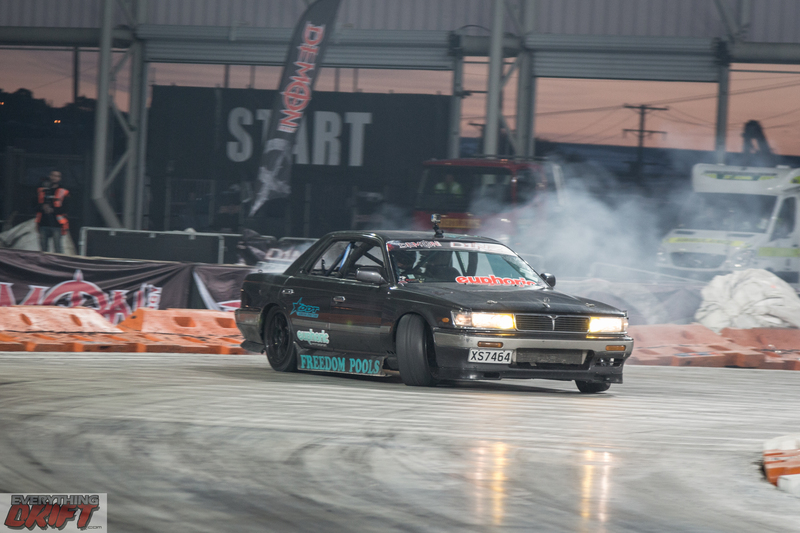 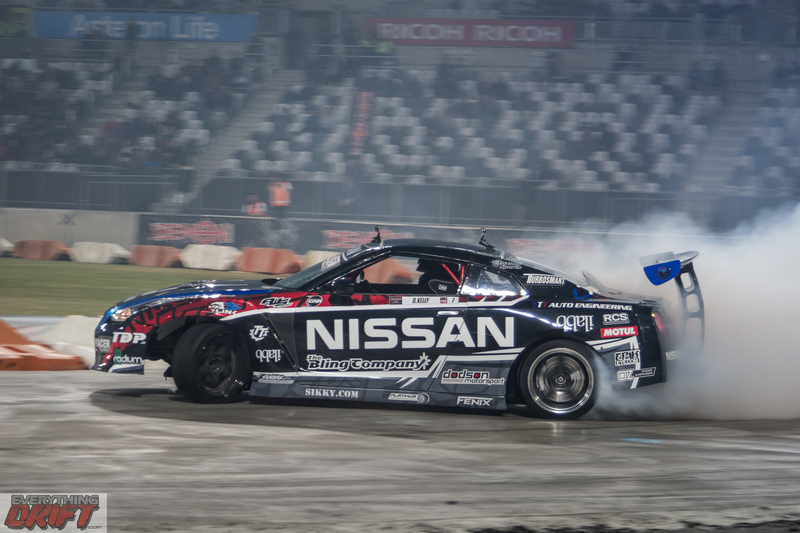 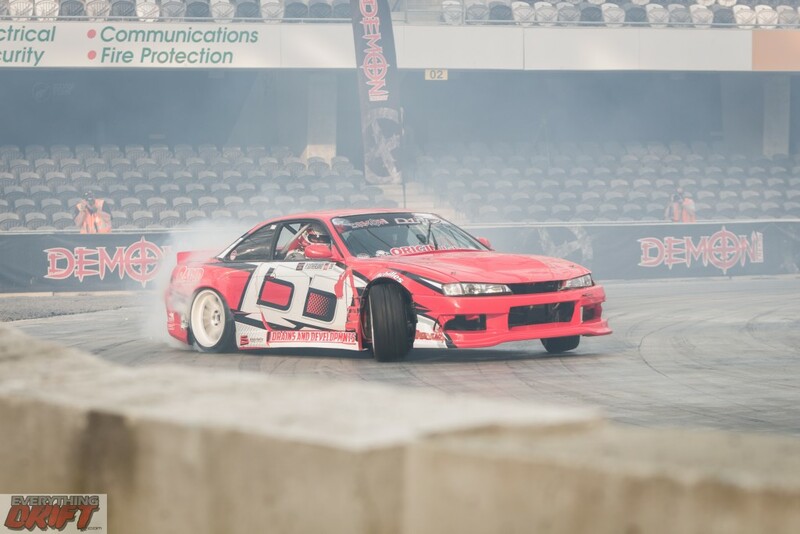 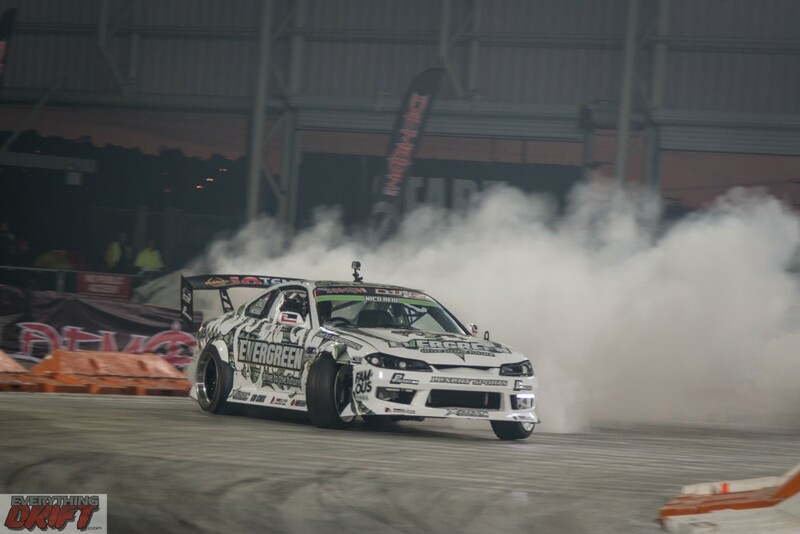 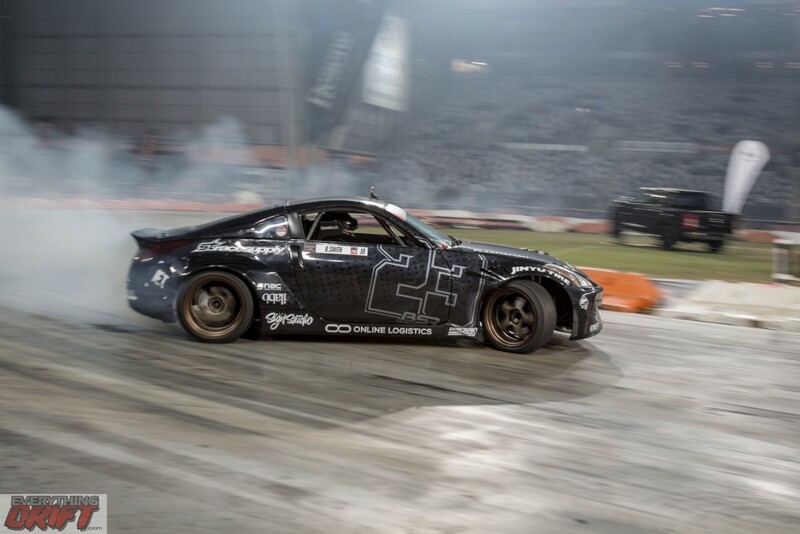 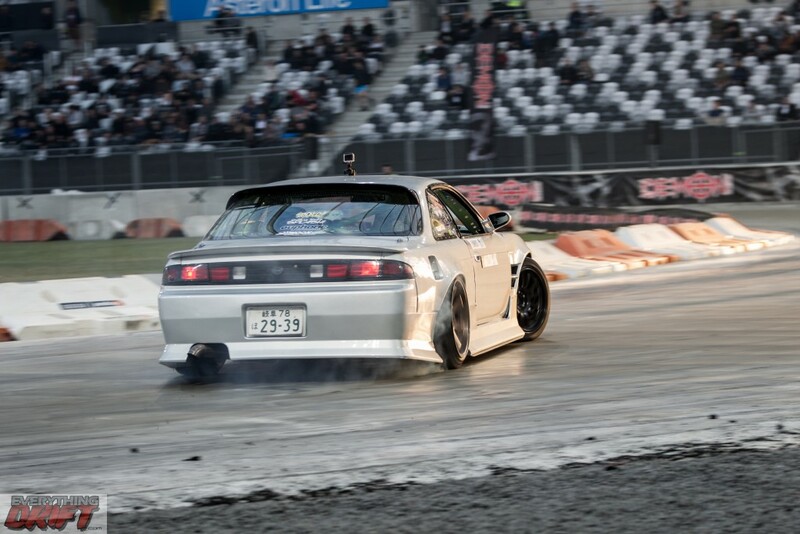 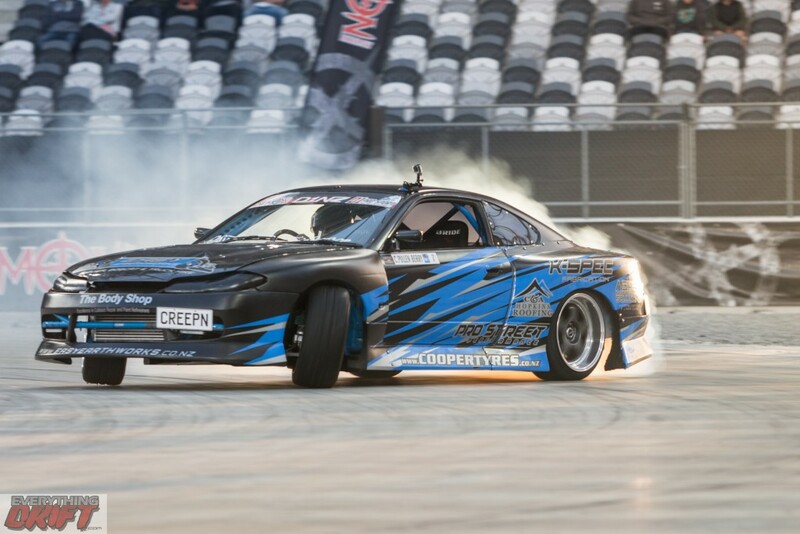 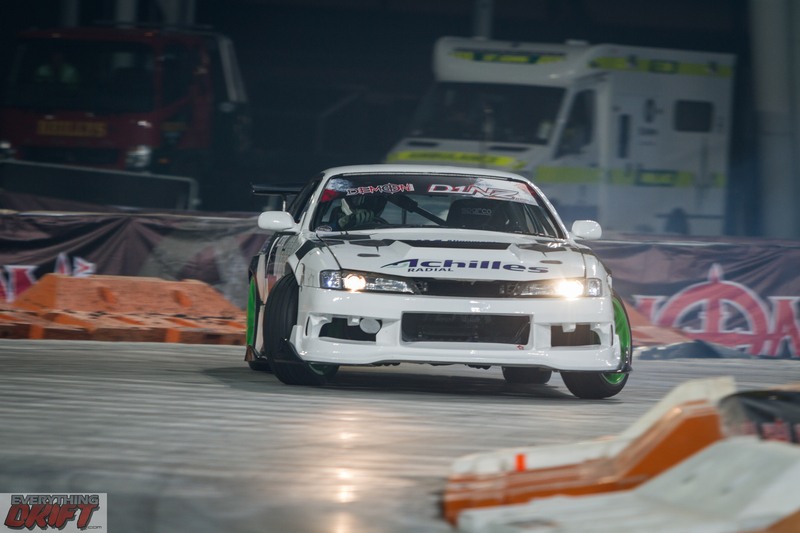 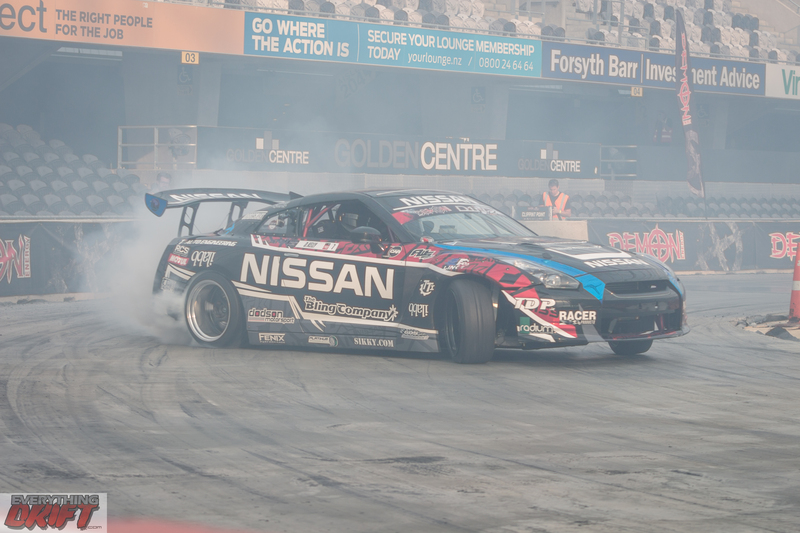 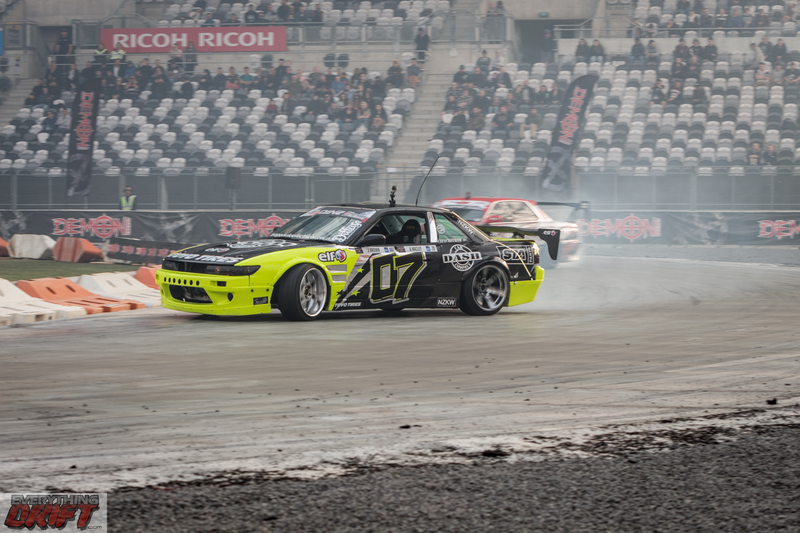 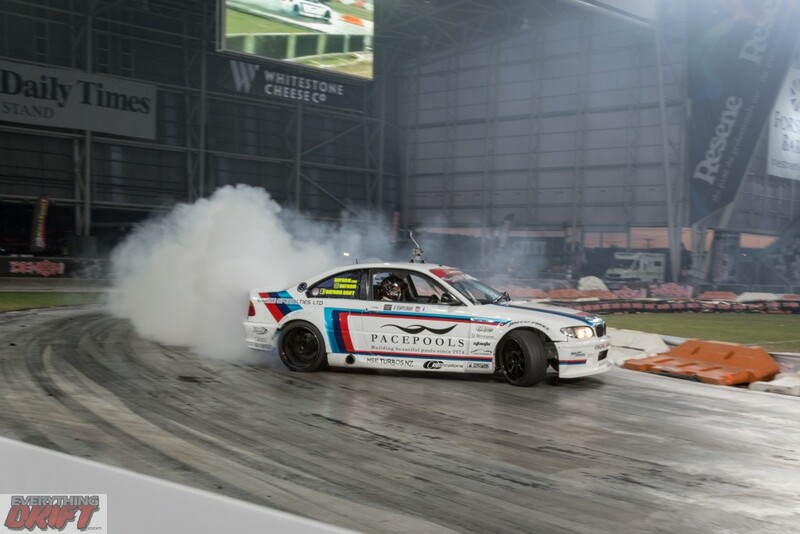 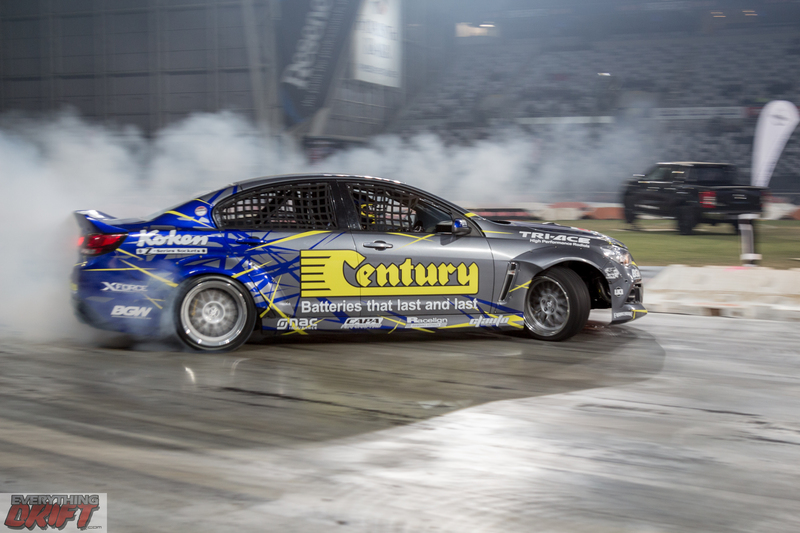 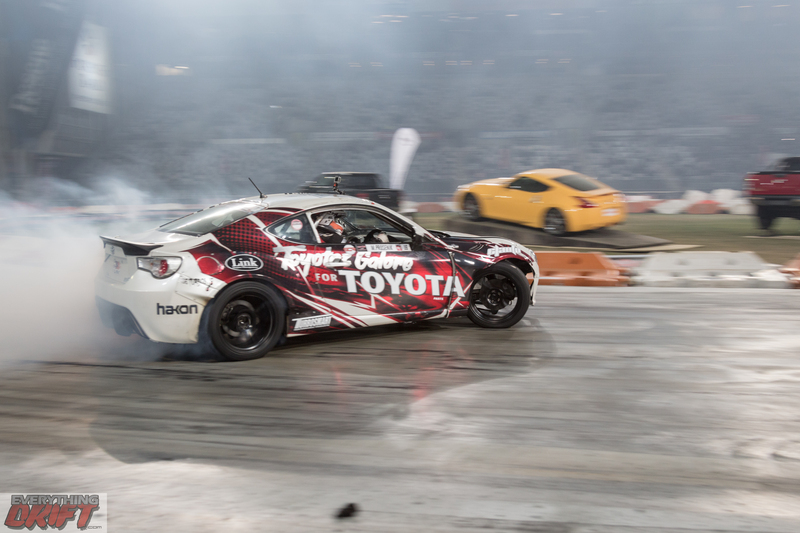 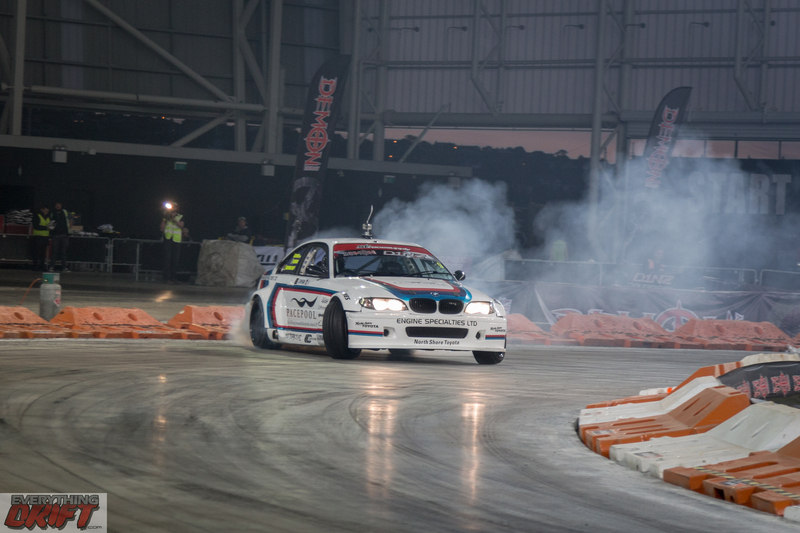 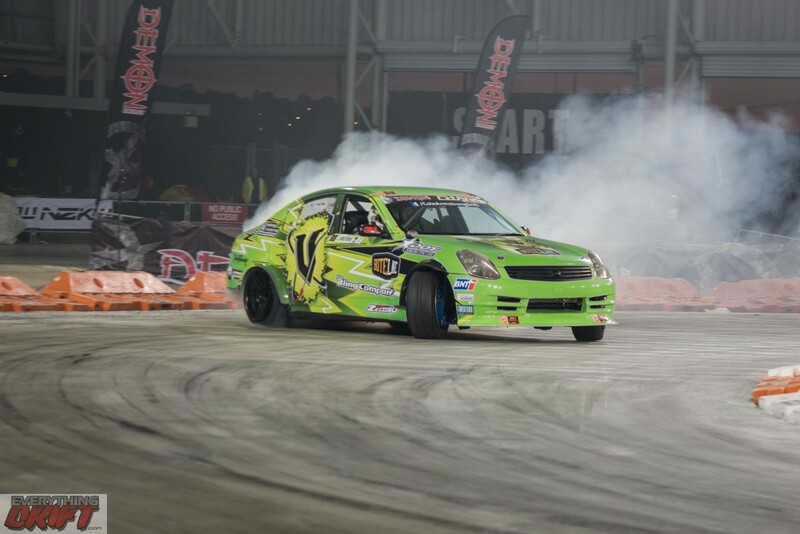 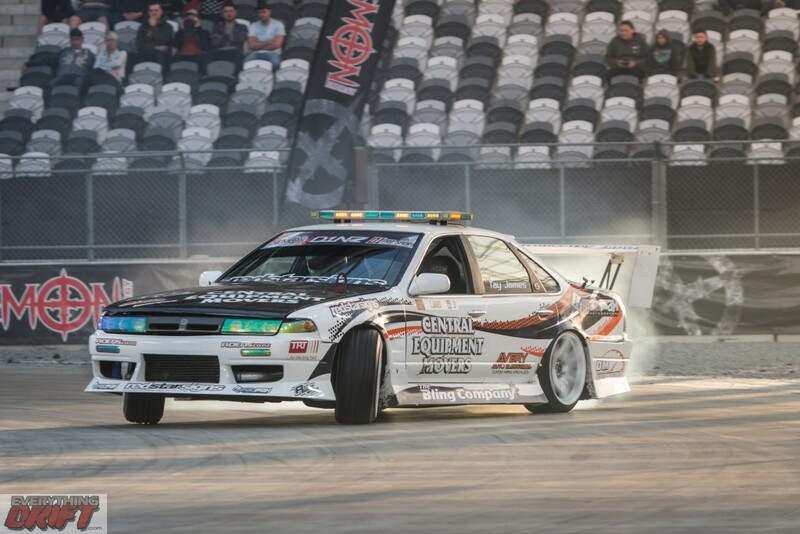 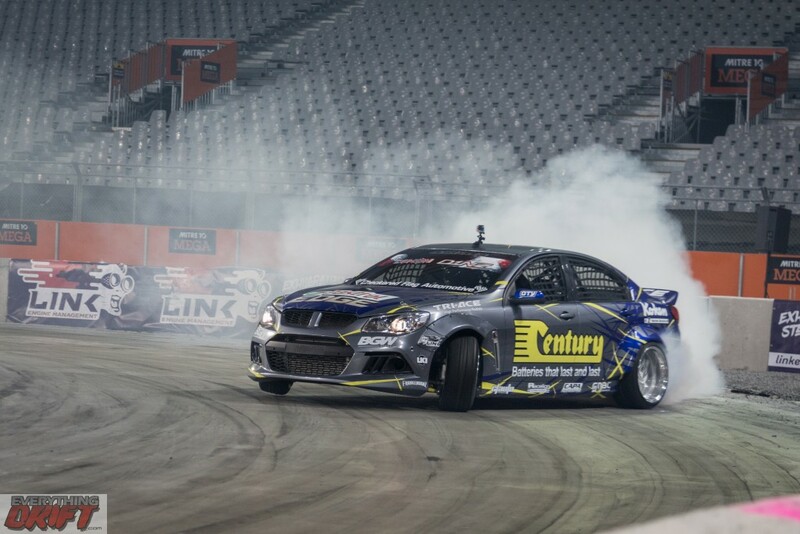 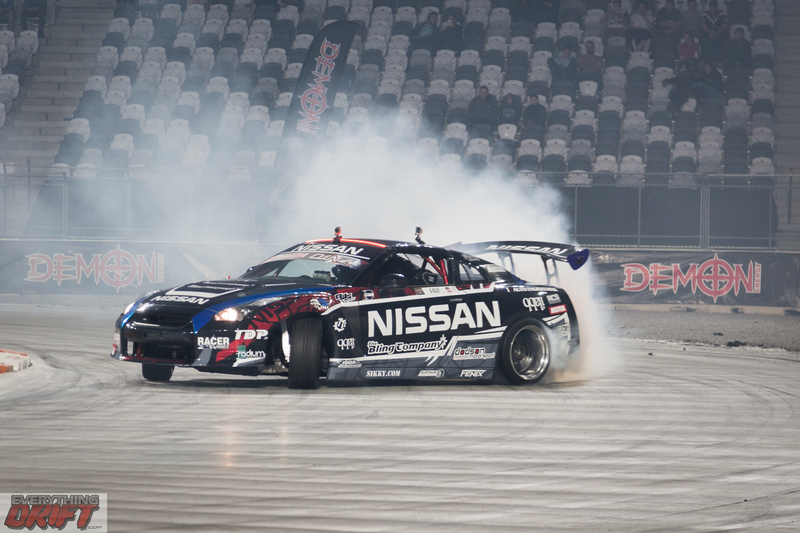 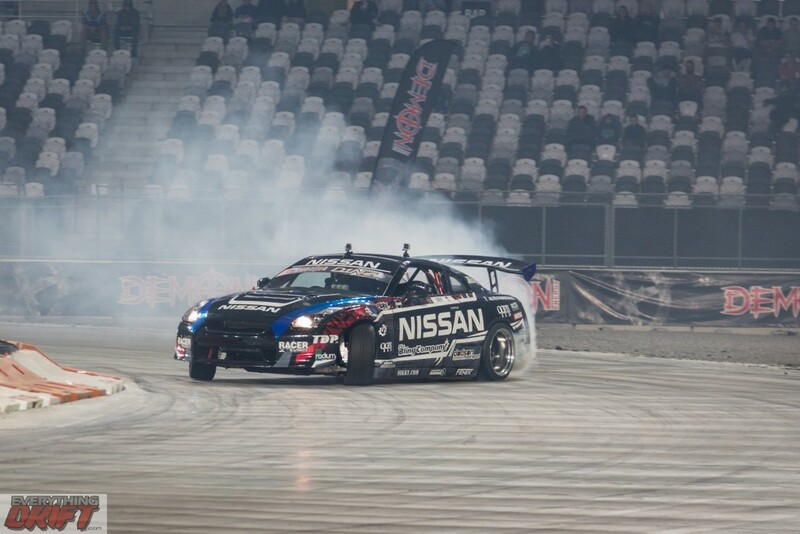 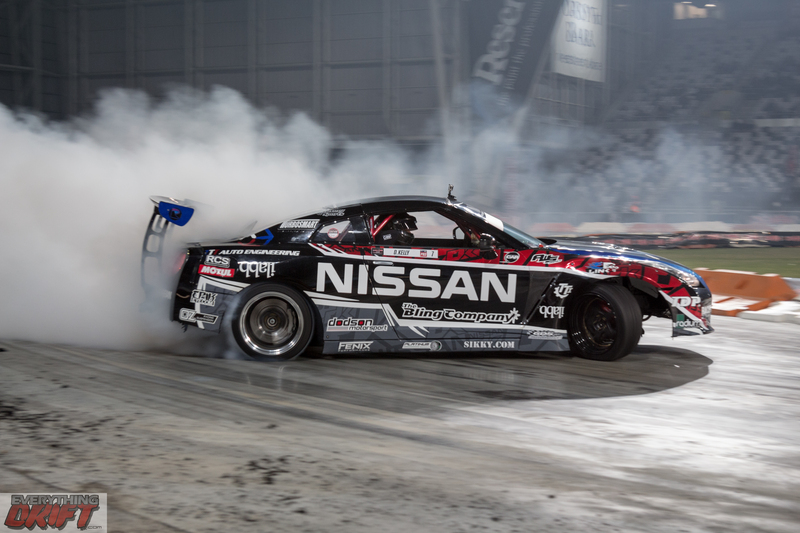 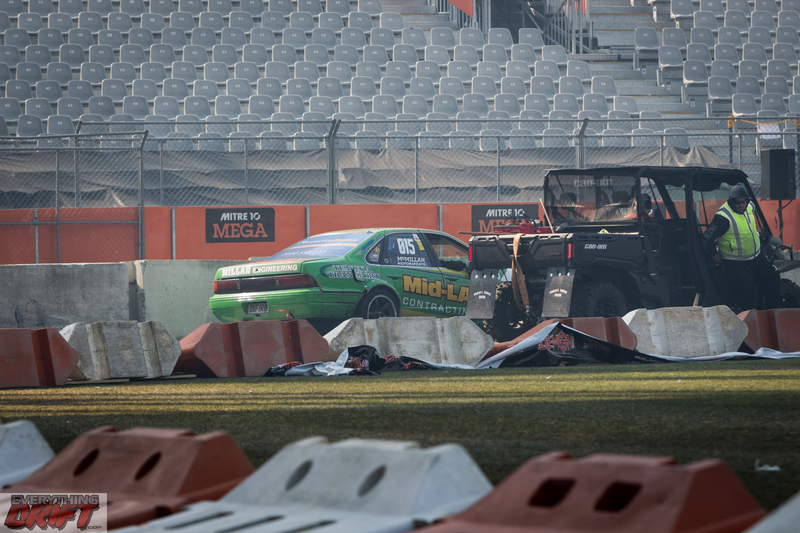 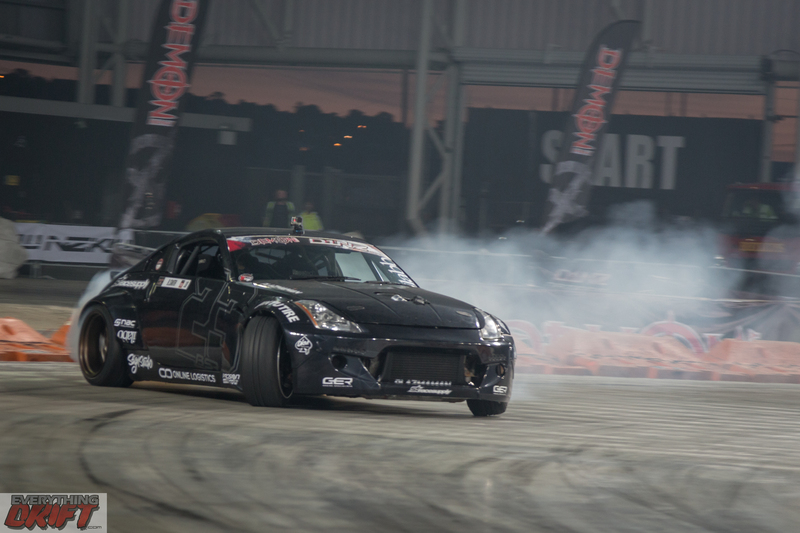 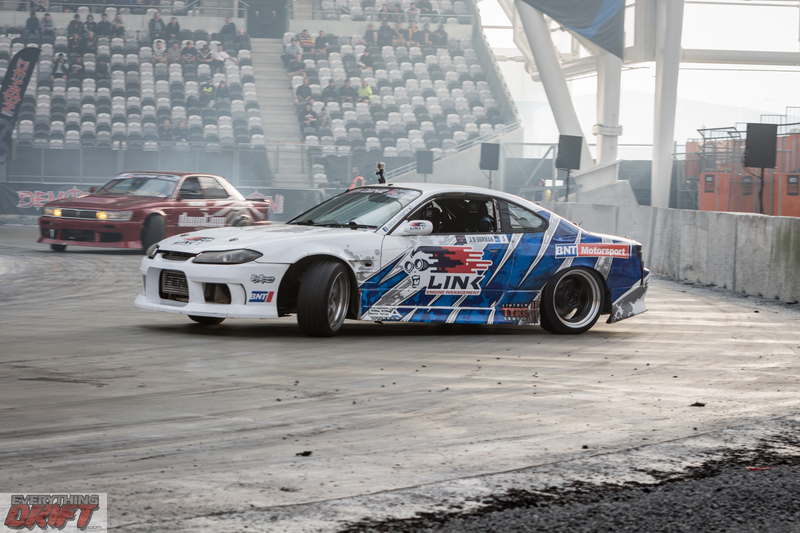 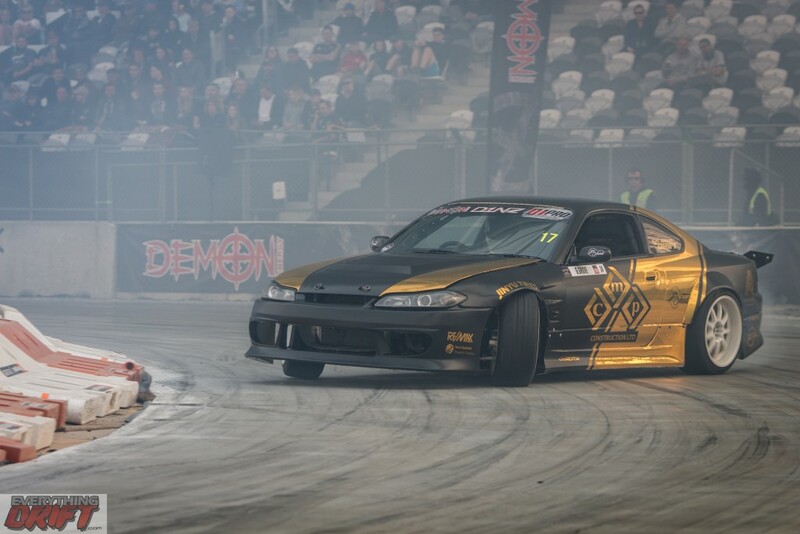 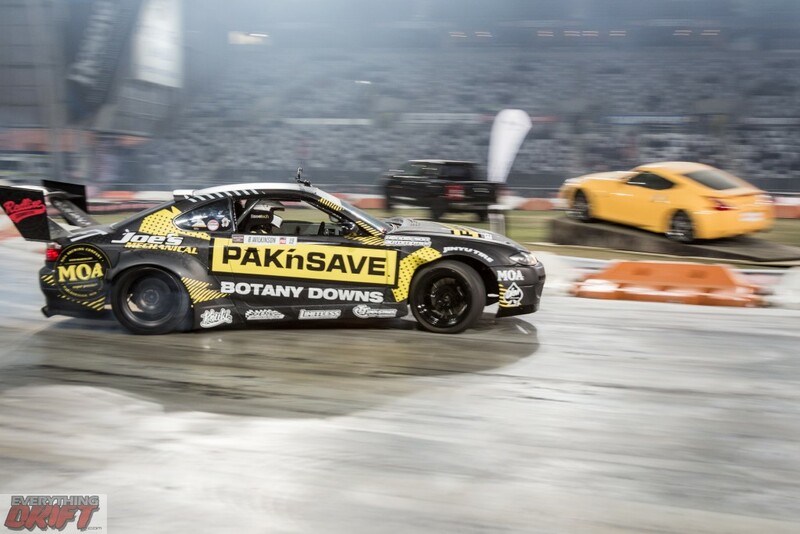 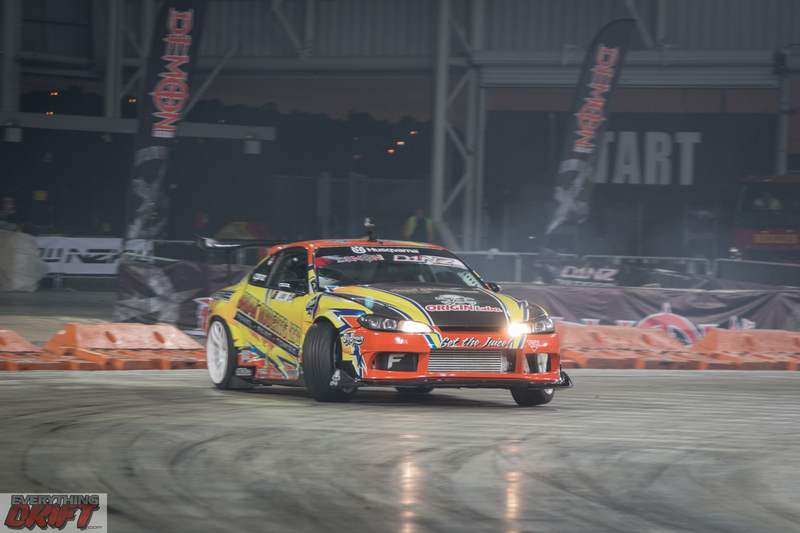 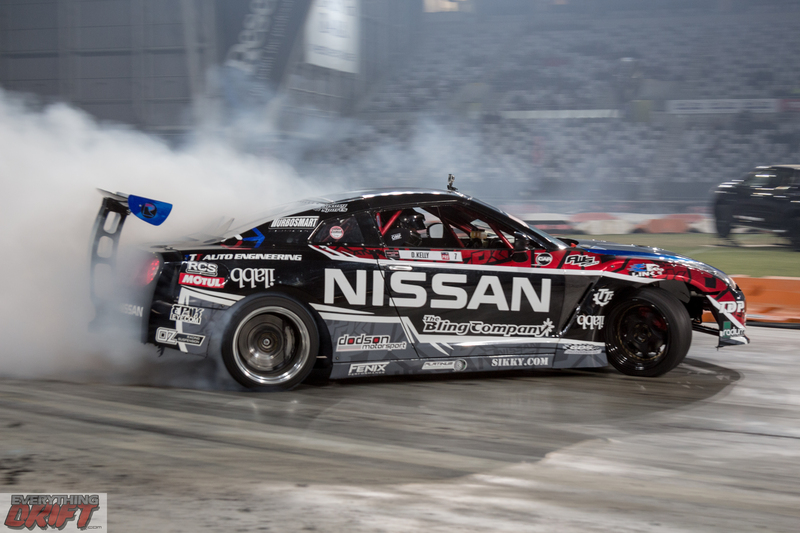 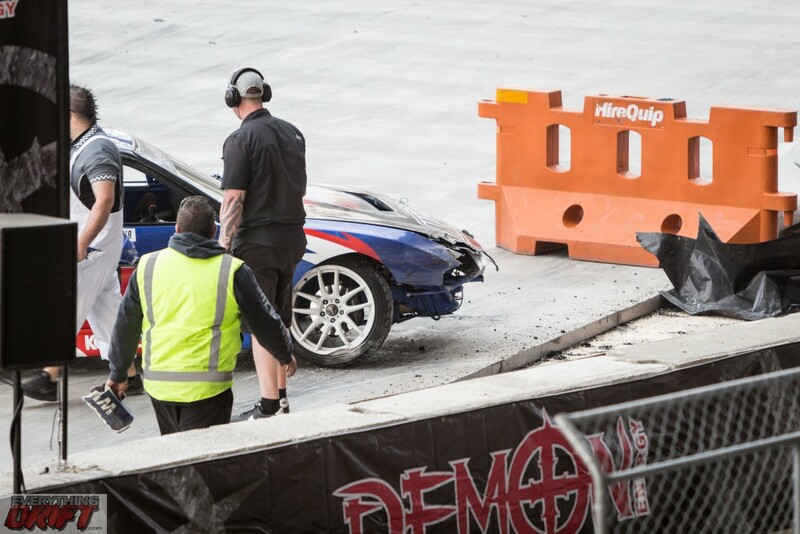 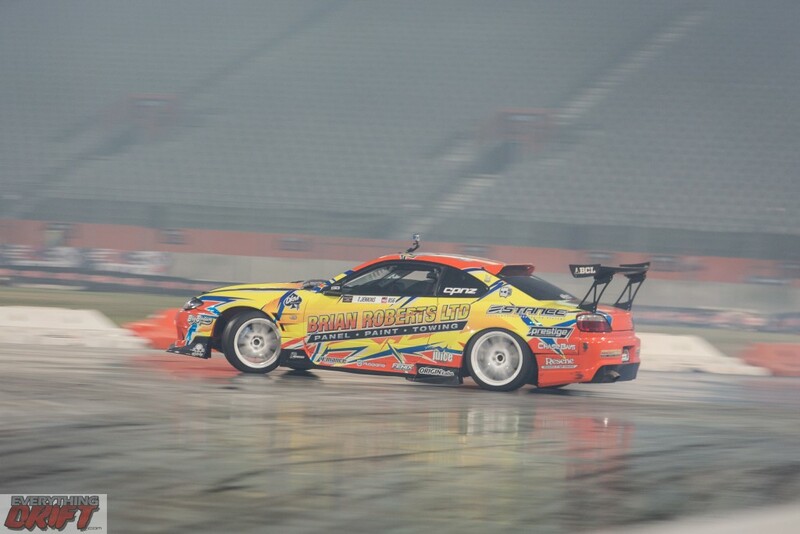 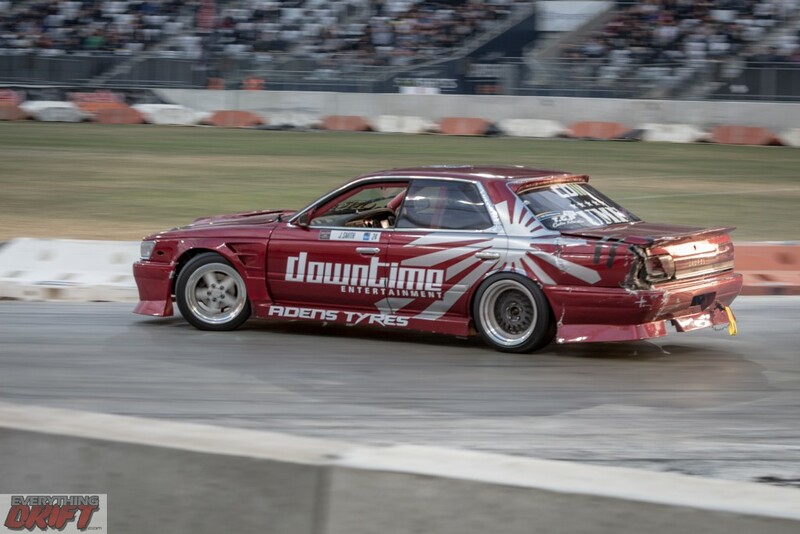 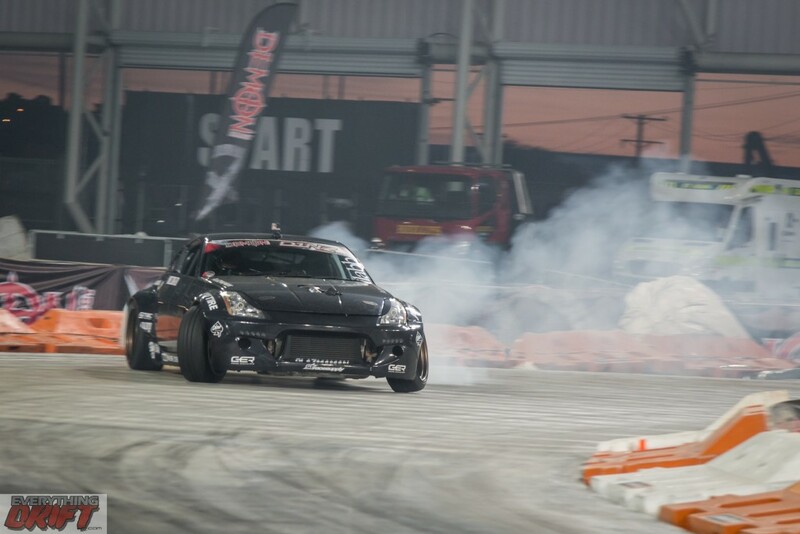 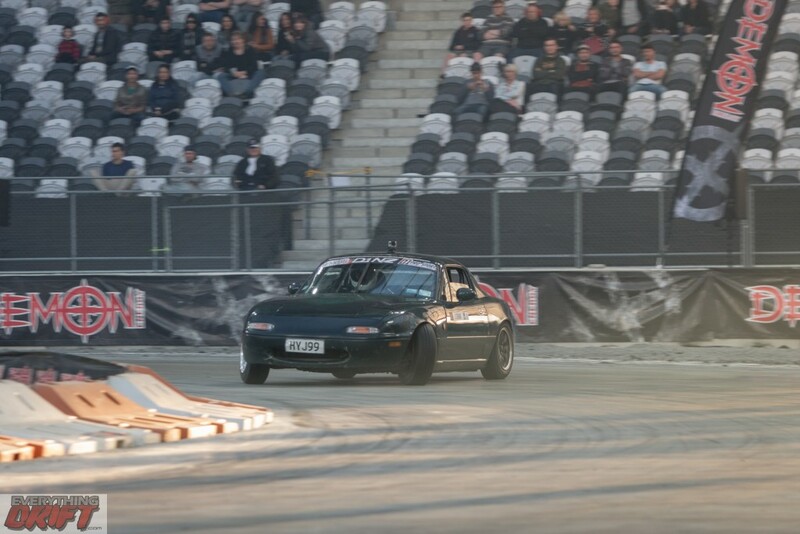 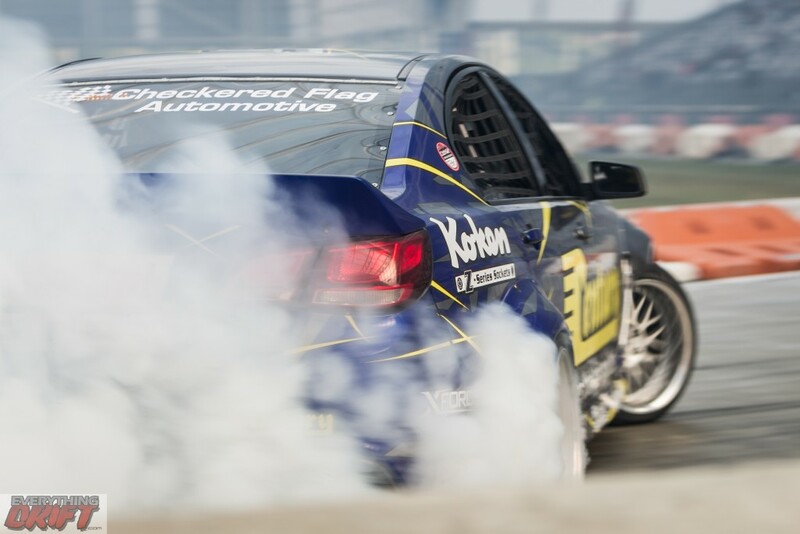 Indoors is not the first thing that springs to mind when you think of drifting, but I think that is exactly why the people who come up with ingenious ideas within D1NZ put forward Forsyth Barr Stadium. 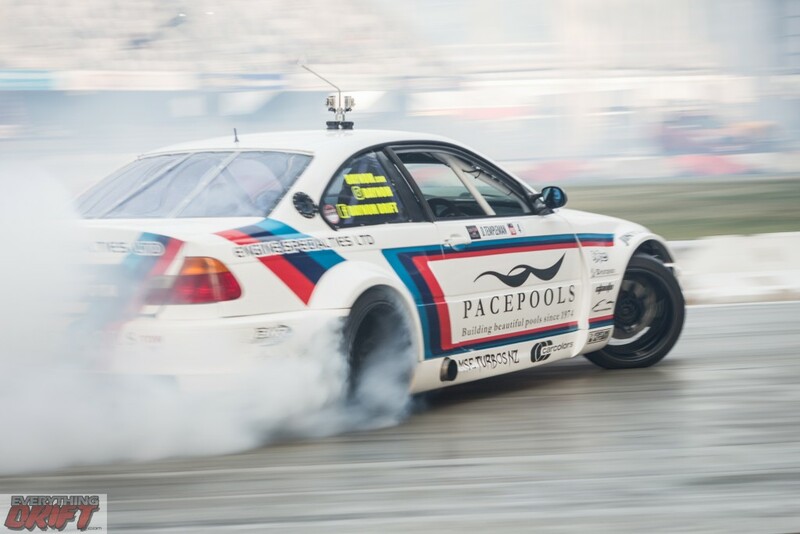 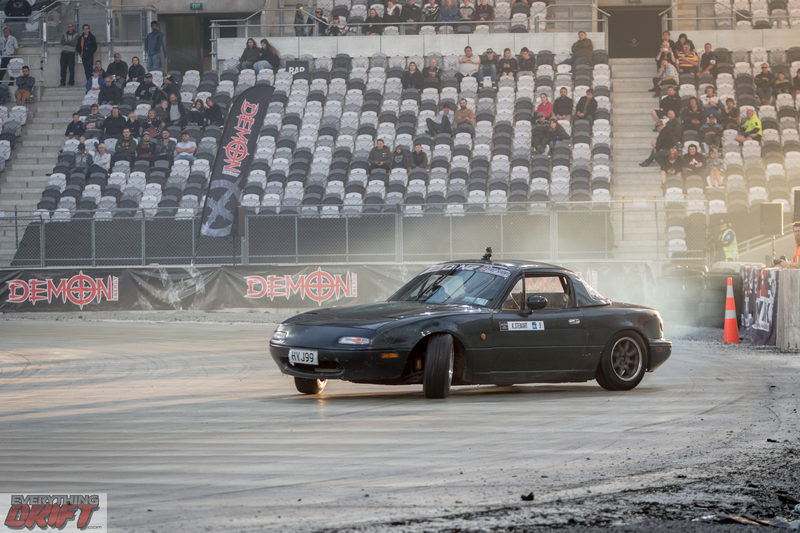 A large rugby pitch transformed into a mini drift circuit sounds like heaven for outsiders and that is exactly what it was. 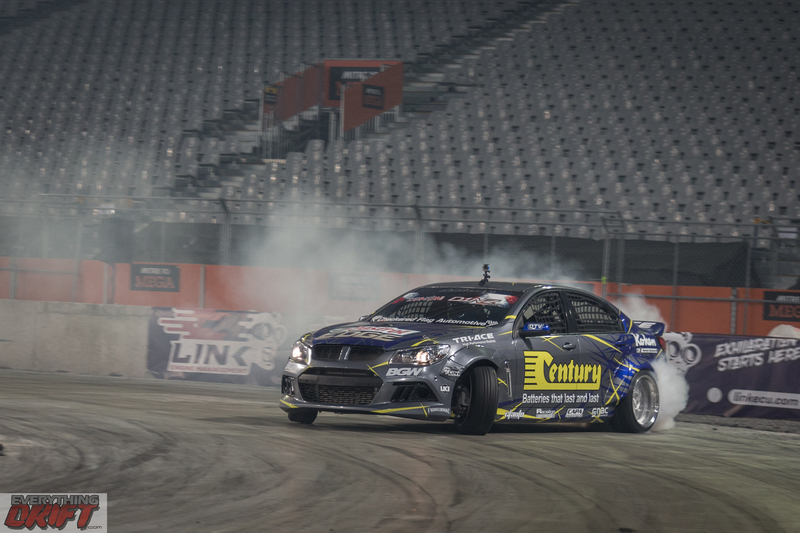 Shooting for the first time in such a unique location made for some amazing memories and beautiful reflections as we saw the cars push through tight corners under stadium lights and thick smoke. Large fans were used to keep most of the smoke away from the main circuit however the little that drifted through coupled with the sunset streaming through the stadium made for some different views of such a loud and aggressive sport. 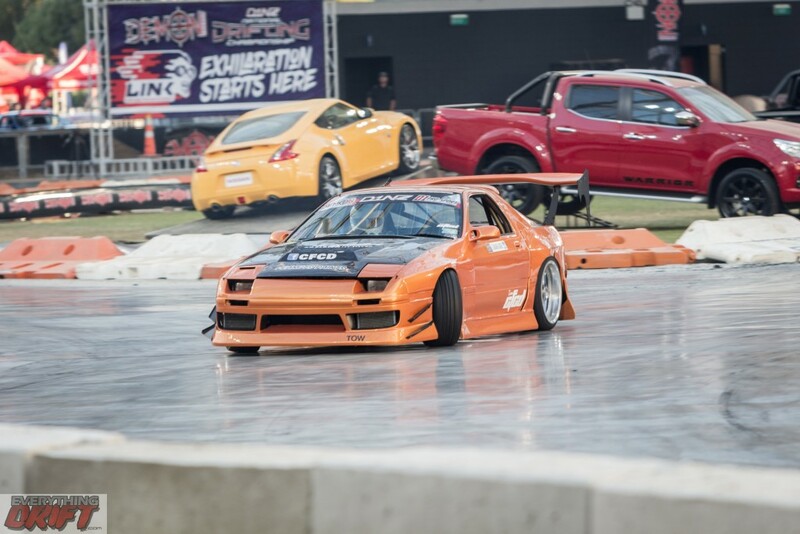 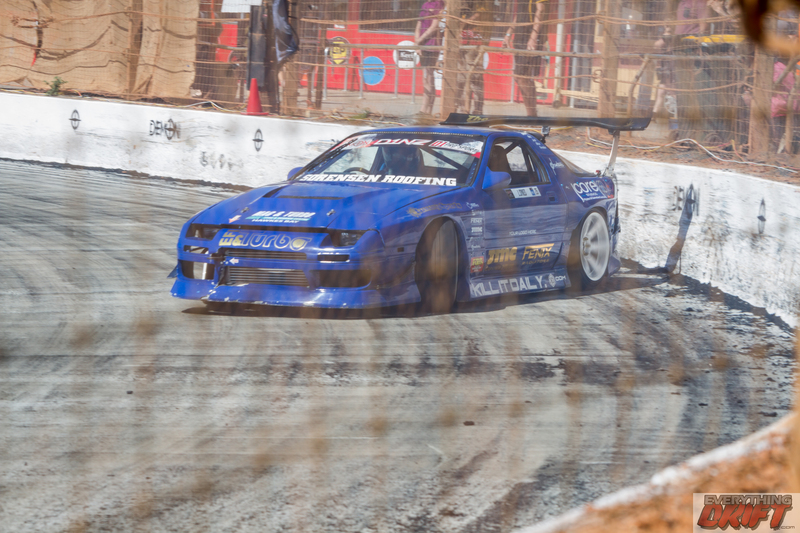 Australian based Team Blaze Unit; Scott Schembri in the SR20DET powered Nissan 180sx & James Abbott in the 2JZ powered Nissan S14. 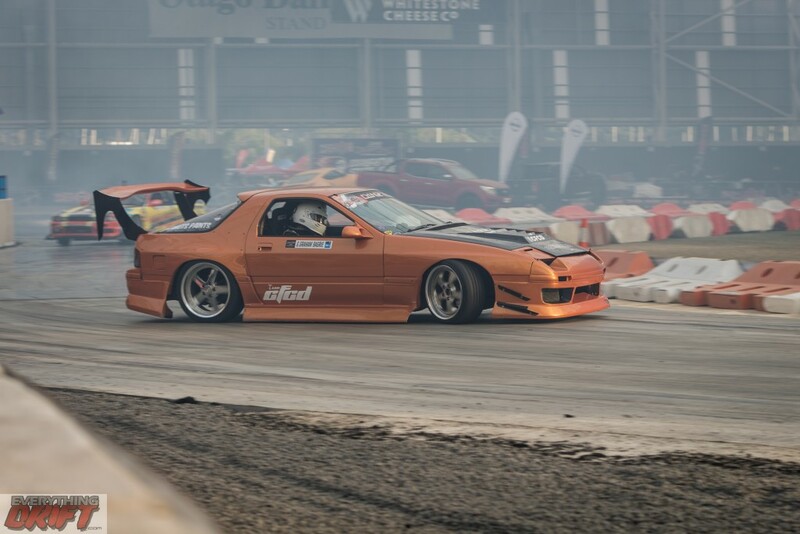 Hitec Oils Trans-Tasman Drift Series 2016. 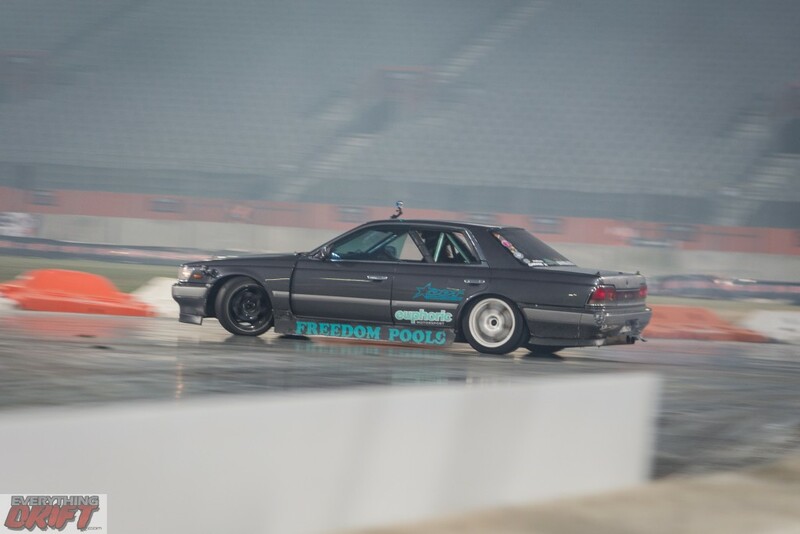 Some raw clips of Dylan Woolhouse in his Supercharged LS2 V8 C35 Laurel. 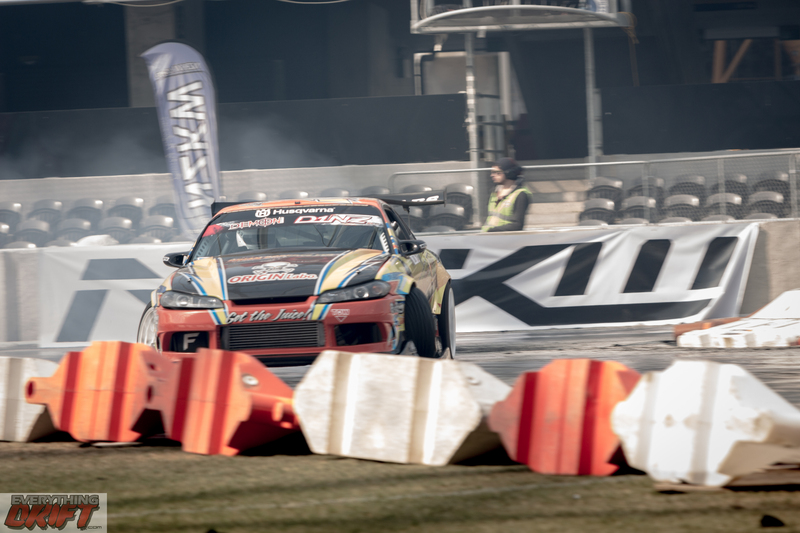 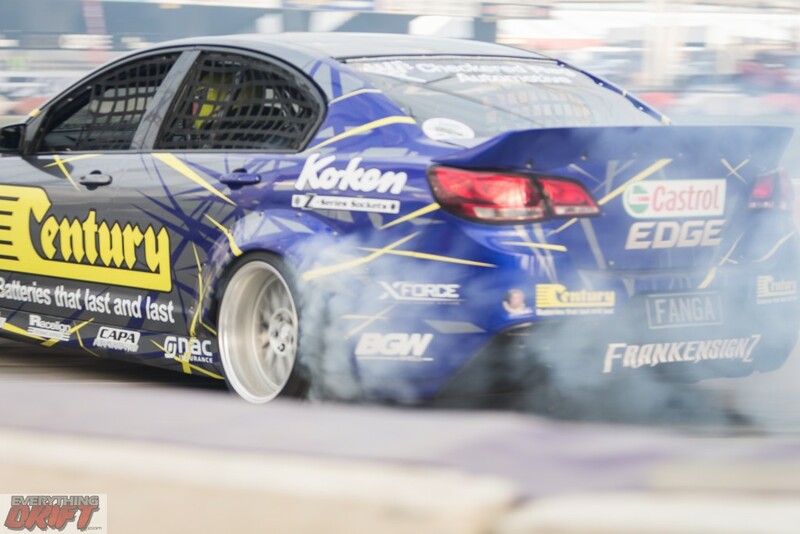 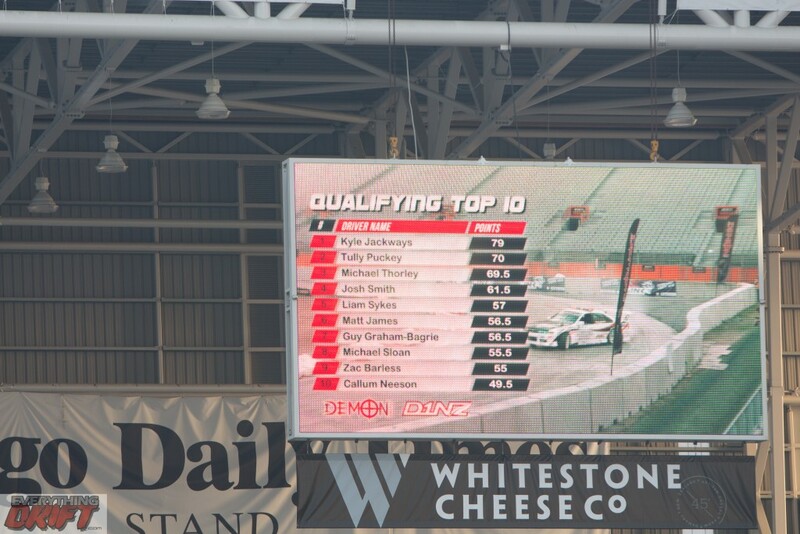 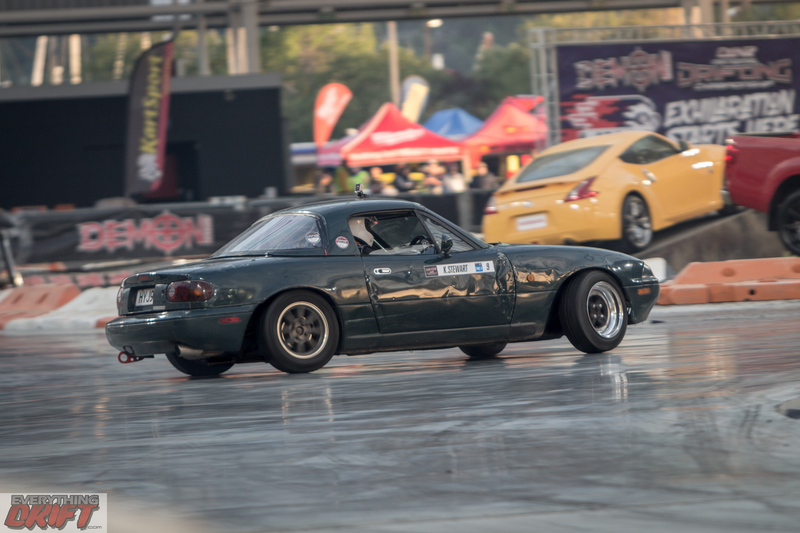 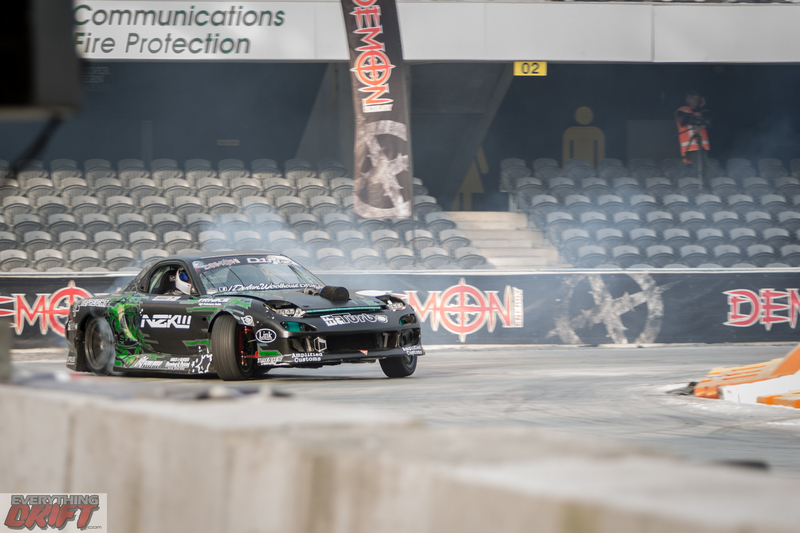 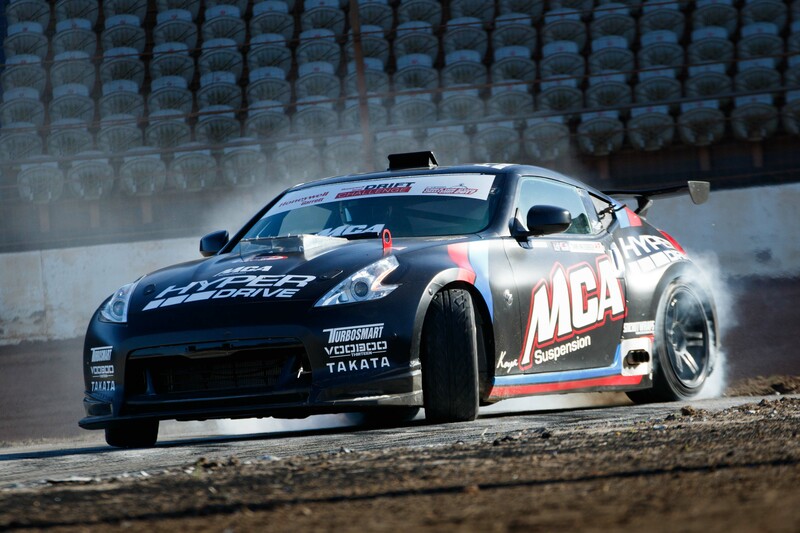 Round 5 of the 2016 Demon Energy D1NZ Drifting Championship at Mike Pero Motorsport Park – Christchurch.